The yearlong workshop is cultivating jazz based on cultural identity. Ranging from Arabic to Cuban flares, local residents have juxtaposing jazz composition with multicultural twists. Running through June, the Kimmel Center is hosting its sixth annual Jazz Residency program – a nearly yearlong extensive process fostering the creation of original jazz works by Philadelphia musicians. Over the course of several months, the performing artists, who stem from all levels of musicianship, engage in public workshops, work-in-progress events and then, finally, the world premiere of their compositions in June. The Kimmel Center residency founded the program to not only commission new original jazz but also produce music that is meaningful and relevant to Philadelphia communities. Featuring a trio of ensembles, two of the 2018-2019 season’s three teams are being led by South Philadelphians, including a Newbold resident and Queen Village native. Highlighting different subjects each year, this residency’s theme centers upon cultural ideas of identity and belonging – a subject that was not originally intended but rather naturally arose, as the concept turned out to be a recurring notion among the musicians’ applications for the program. Those big ideas are illustrating our similarities – rather than our differences – by weaving traditional American jazz with the sounds from other countries. 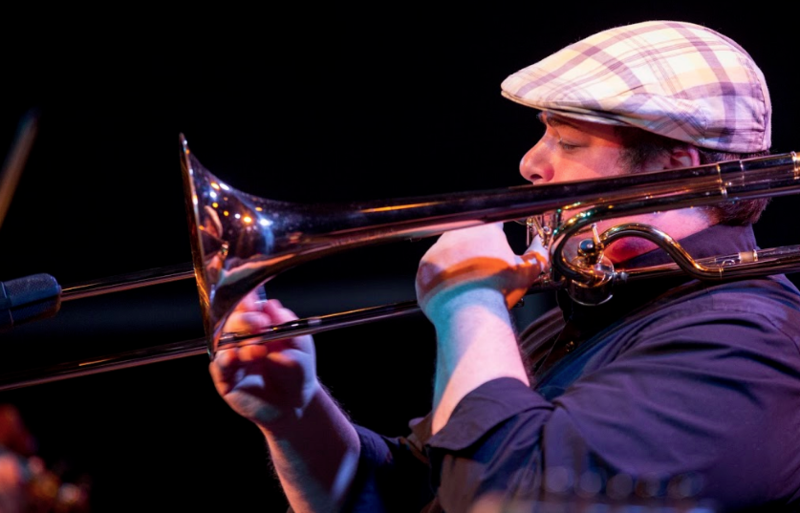 Leading one project is trombonist and Queen Village native Dan Blacksberg, who unearthed a love for music while attending elementary school at William M. Meredith School. Partnering with Rabbi Yosef Goldman of Temple Beth Zion – Beth Israel, Blacksberg’s emerging jazz composition draws parallels between klezmer music and Jewish and non-Jewish music from the Middle East and North Africa. His ensemble features Rabbi Goldman on vocals and percussion, Nick Millevoi on the electric guitar, Chad Taylor on drums, Jaimie Branch on trumpet and Matt Engle on bass. The South Philly native, who studied at the New England Conservatory of Music, says he’s always had an interest in bridging Eastern music techniques with prolific American jazz artists such as Duke Ellington. Blacksberg stresses that jazz, particularly experimental jazz, is intended to be open-ended. “One of the things that experimental music is – it’s like an experiment. It asks more questions than answers,” he said. Digging into his cultural identity while proposing new views, Blacksberg’s thoughts echo those of Newbold musician and guitarist Dariel Peniazek, who is another selected composer for the 2018-2019 Kimmel Center residency. Peniazek, who is collaborating with poet, playwright and lyricist Maya Peniazek, is enlivening traditional jazz with African, Latin American and South American rhythms. His ensemble also features Arturo Stable on percussion and Grammy-nominated Cuban singer Ariacne Trujillo. 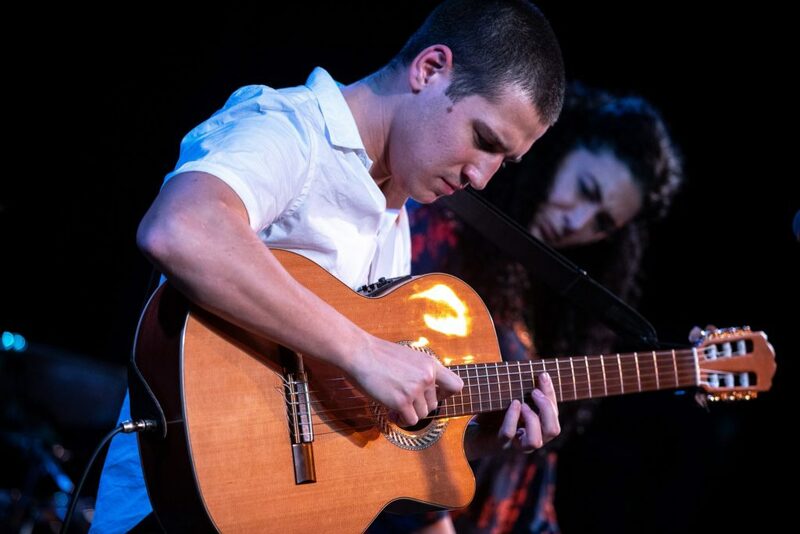 Primarily playing the tres cubano, a traditional Cuban guitar-like instrument, Peniazek, who studied jazz composition and performance at Temple University, says, in his new work, he aims to blend these beats with a Philadelphia approach. “I wanted to find a way to put out my kind of version of what I’m hearing in my head – my fusion of the things I’ve learned being a Philadelphia musician and also being someone who lives in the Latin music world,” he said. Further fusing Philadelphian and Latin American music, Peniazek hosts weekly world music and Latin jazz trio shows at a space on 15th and Ritner streets. The experience has helped cultivate his current vision with the Kimmel Center, as he aims for the ethnic amalgamations in his new work to strengthen audience’s understanding of our shared experiences. Blacksberg and Peniazek say a beneficial aspect of the residency is sampling these new works with the public throughout the process. However, the most rewarding part is partnering with performing artists who share similar musicianship and values beyond the stage.